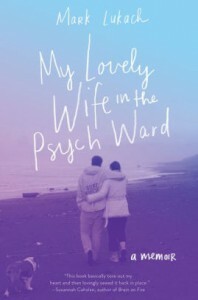 My Lovely Wife in the Psych Ward: A Memoir - Mark Lukach - review - "So it goes." This book does best early on, when he's furious, scared and confused at the sometimes arbitrary, often misleading and always rigid rules of psychiatric care. I highlighted huge sections of these early encounters with hospitals and staff because despite many feeling feel similarly, in the decades I've been in the field very little has changed beyond some nicer wording. So I cheered him for this. My discomfort with the book came after that, when suddenly some really naive life choices are being made by a couple who has experienced an upsetting but single psychotic break. 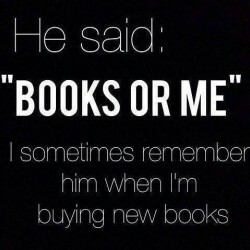 I have many questions I would like to ask, but that's not how books work. Then there's the issue that these seem to be the luckiest two people on earth. Yes, even after the psychiatric diagnosis. Both have parents, family and friends alive, willing and able to drop everything, fly in from other countries and stay to help. There is not a single word in this book about the myriad ways insurance tries and usually succeeds in screwing the mentally ill - this would likely be because they can pay for treatment that isn't covered or because they stayed within an HMO-type system at Kaiser. Kaiser isn't known for cutting-edge mental health care, so perhaps that's why some things seemed strangely unexamined. When her illness starts, both are able to quit jobs and even travel before they decide to start a family. Through it all they're still living a very nice lifestyle, despite it being far from the one they'd imagined. But that's how any illness works. By the end, the book covers three episodes and hospitalizations in five years, and it seems like he thinks he's got it all worked out. Five years into severe psychiatric illness is a very short time. I don't even know that his lovely wife actually qualifies as severely mentally ill. She is able to hold down a job between her three episodes and has a between period. Of course it feels painstaking to all involved, but cancer of any stage feels painstaking, yet there are still stages. Everyone has a right to tell their story. What I hope is that this book will not be anyone's sole resource. I just read another from Patrisse Khan-Cullers in When They Call You a Terrorist: A Black Lives Matter Memoir that shows a very different experience with a similar diagnosis in the same state. When it comes down to it, finances play a huge part in one's ability to get any care at all. Jail was the best the state of California could offer to her brother who had a well-documented lifelong case history. Everyone has a right to tell their story, but this one felt a bit pat in the latter parts, like he has learned what the right things to say are, and he's saying them, but if I had this guy on my therapy couch, I'd be asking some tough questions about the pretty words. He got his feelings out, and that's what I got from this book: his feelings. It's a very one-sided, tiny slice of the beginning of his family's mental health journey. I wish them well, but I can't say I'd recommend this book to many people.